Global Views 3.31258 - We found our inner Zen when creating the brilliant Matcha Chargers. 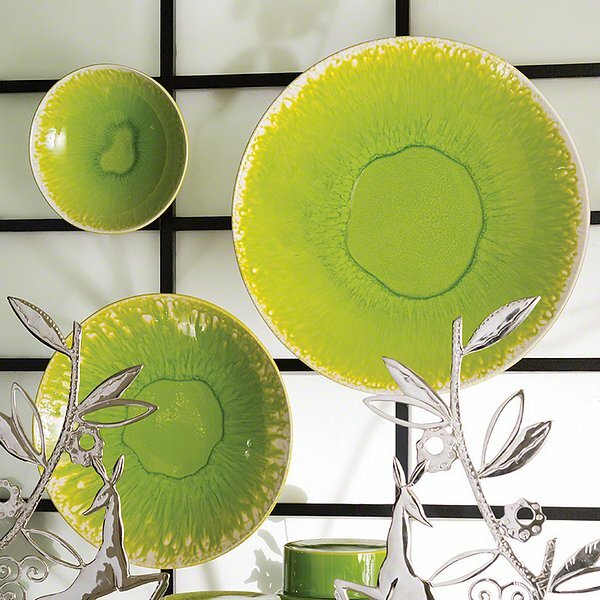 The vivid green color of matcha tea was our inspiration for these artisan hand-crafted pieces. The reactive glaze's varying shades give each charger a unique touch. Shown as a set, but sold individually.